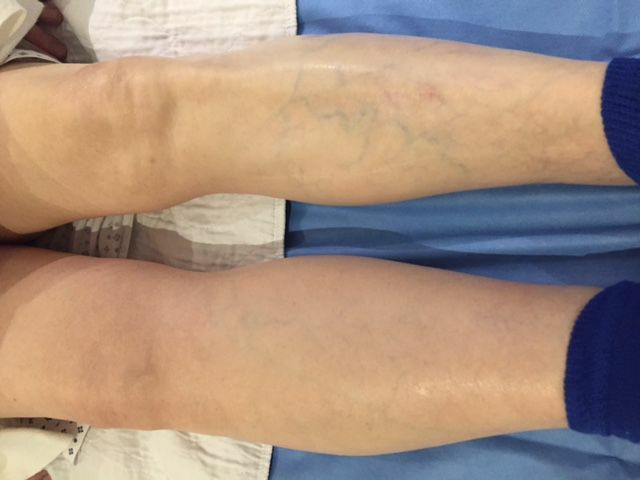 Photos of patient who had suffered with right leg swelling for three months before coming to see us. The patient was found to have a problem with their right iliac vein (in the pelvis) that we easily treated with a 45 minute outpatient procedure placing a stent in the vein through a small puncture in their groin. Five days later, his swelling was almost completely gone. 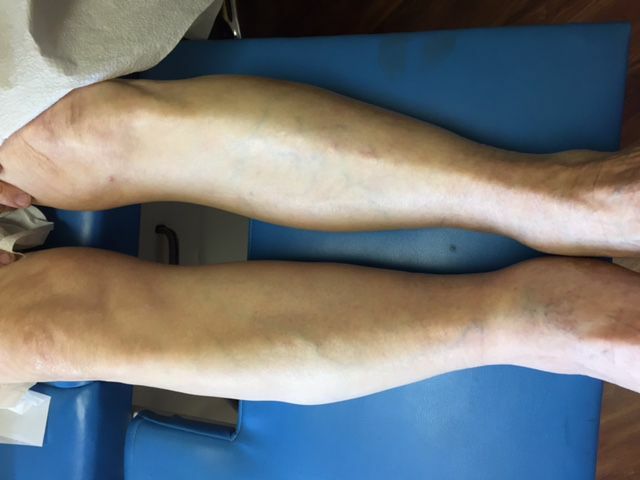 If you have had painful or annoying one-sided leg swelling we may be able to help. Call us today for a consultation at 408-376-3626. South Bay Vascular Center and Vein Institute is the regional leader in treating leg swelling due to iliac vein compression.